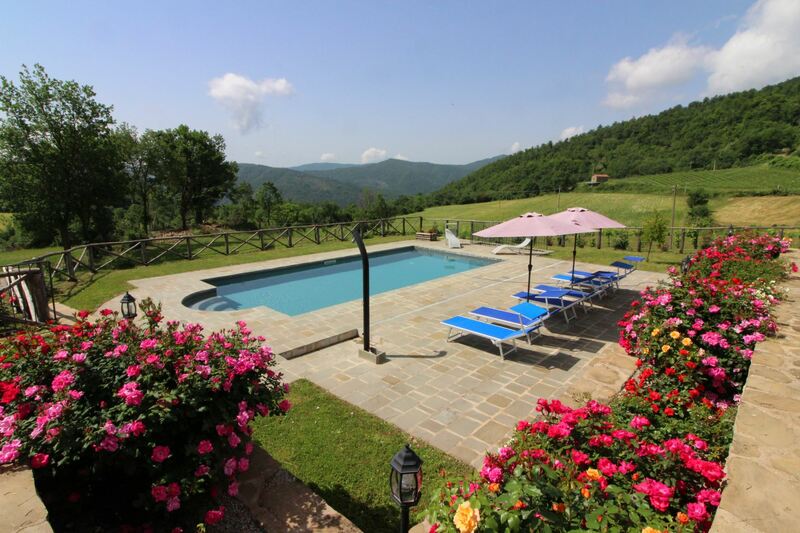 Quietness and beauty of the Tuscan hills. 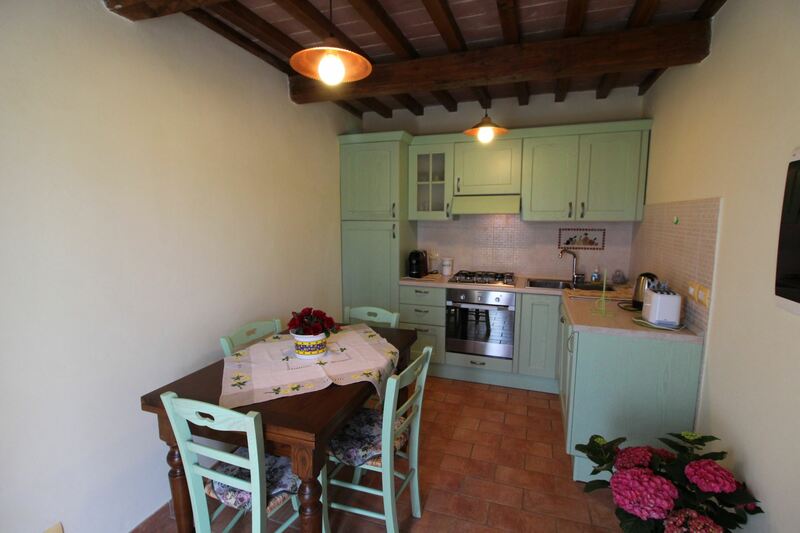 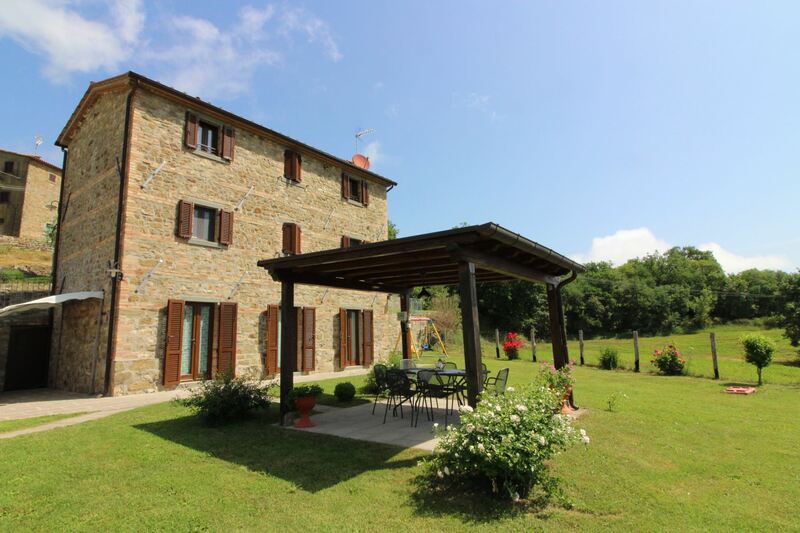 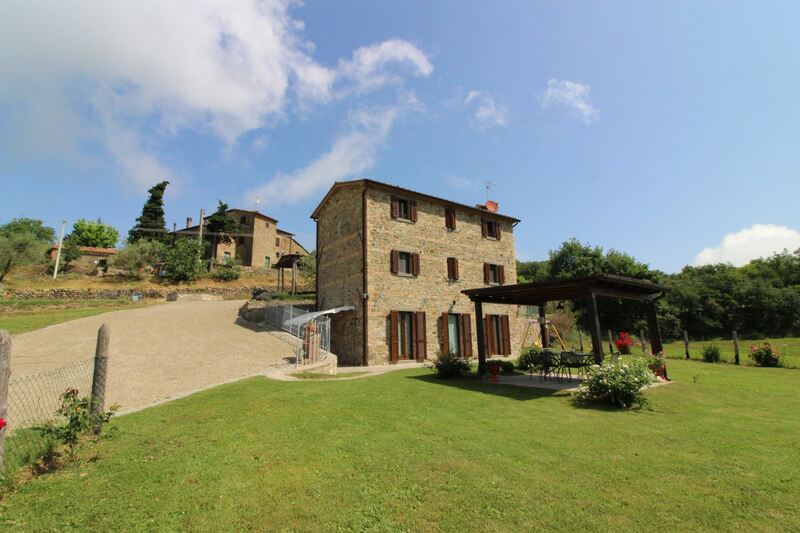 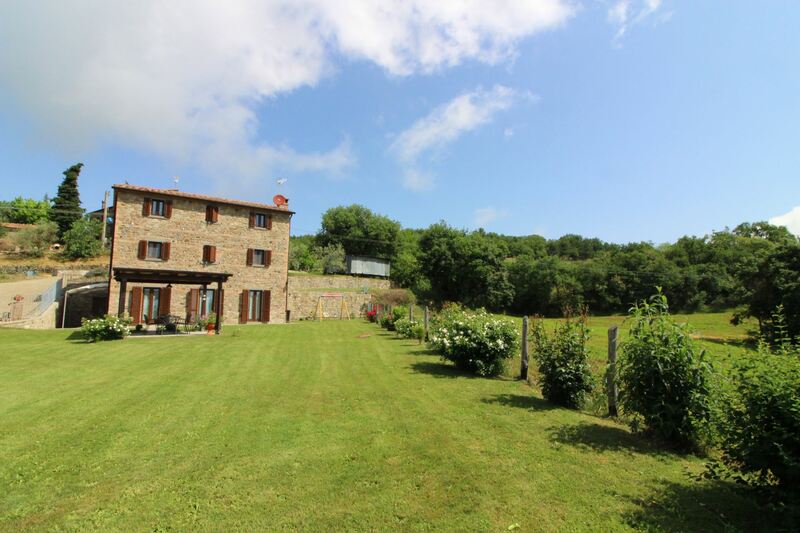 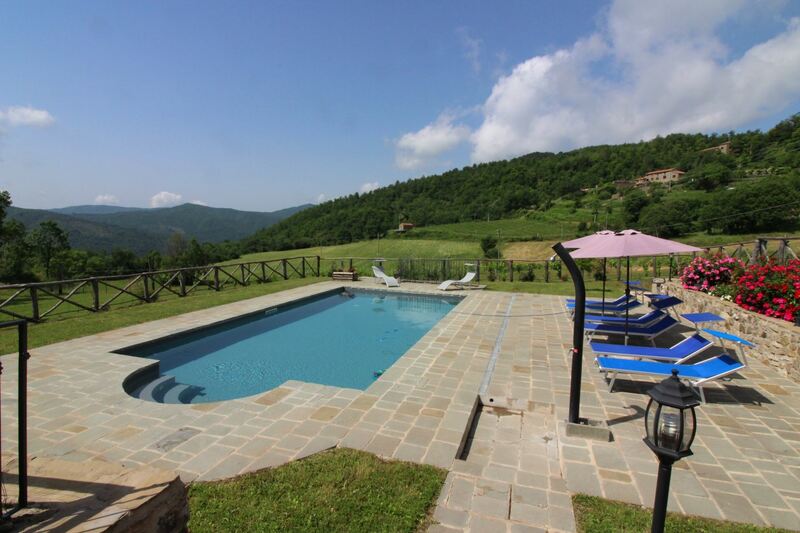 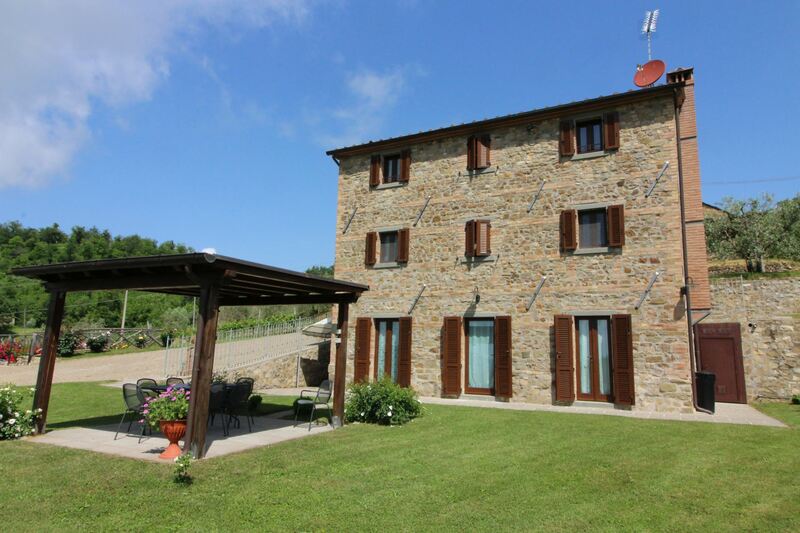 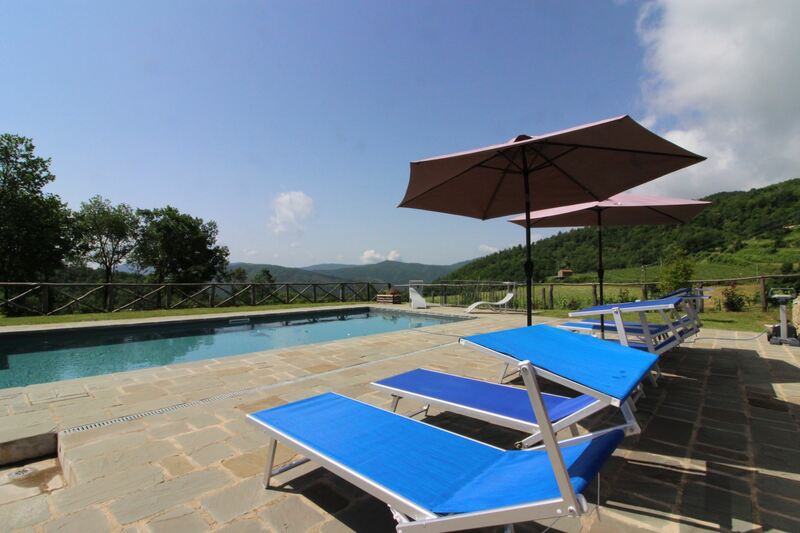 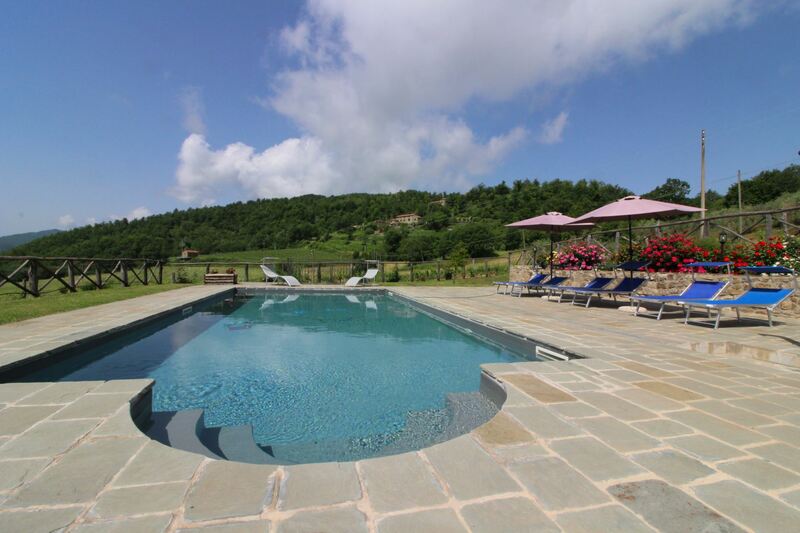 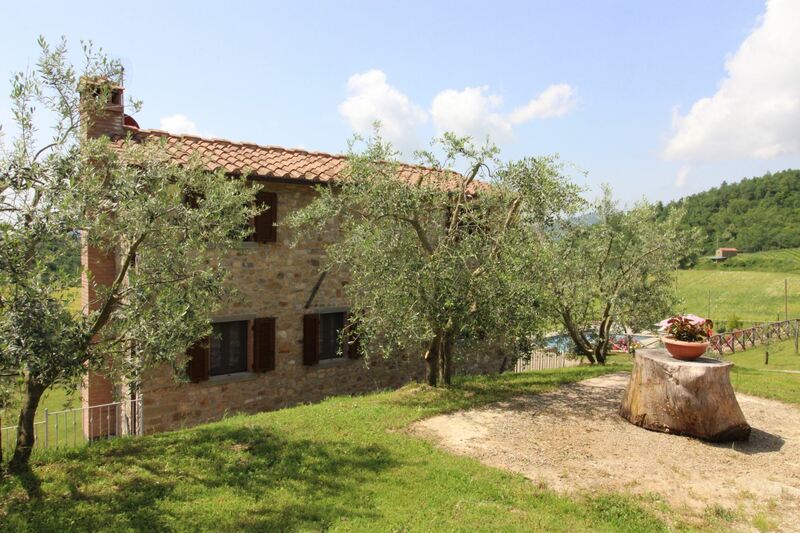 Poggio del Fabbro is located on a hill and panoramic position, on the border between Tuscany and Umbria, in a secluded and quiet area, ideal place to spend relaxing vacations in touch with nature and away from the busy city life. 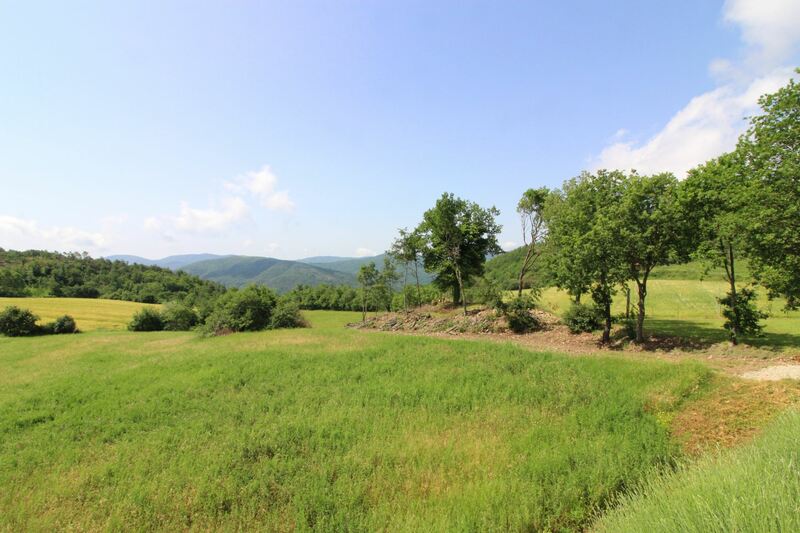 Around the house there are meadows, cultivated fields and green woods, perfect for refreshing walks during the heat of summer. 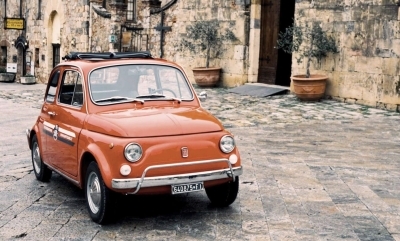 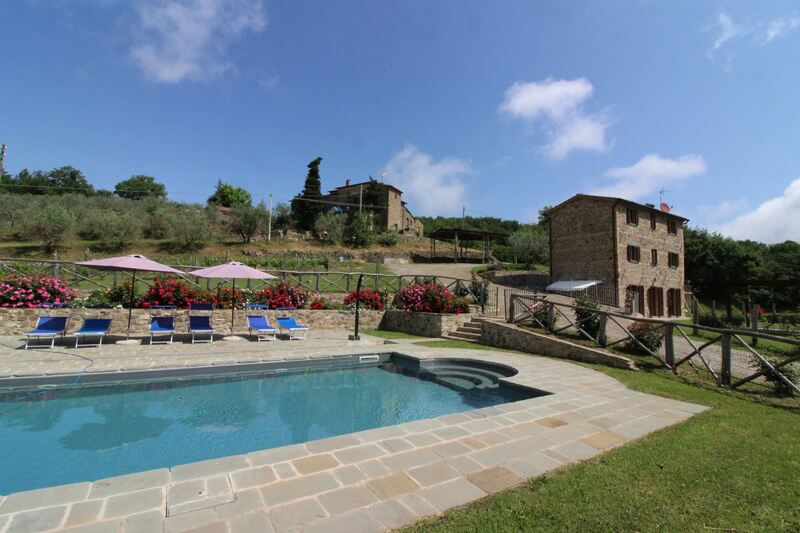 Cortona, the nearest town, with its glorious past and its Etruscan origins, is about 20 km away, while within 10 km there are two restaurants and a small grocery store. 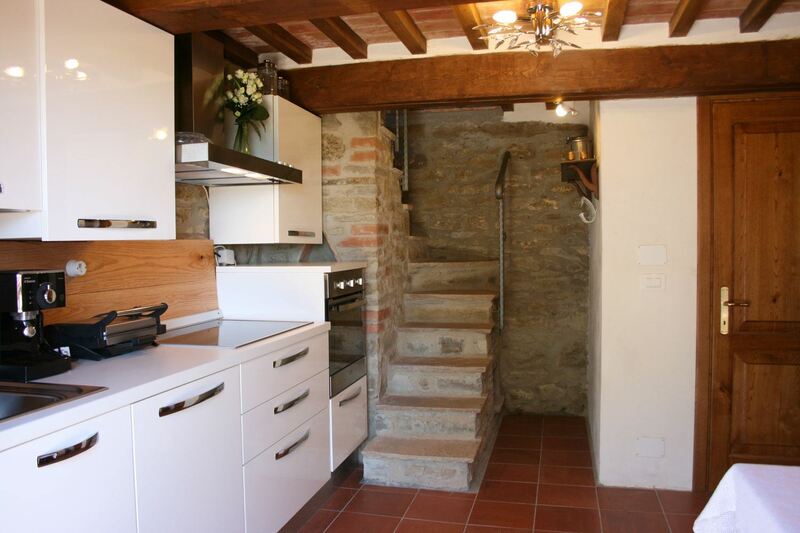 An old farmhouse of peasant origins. 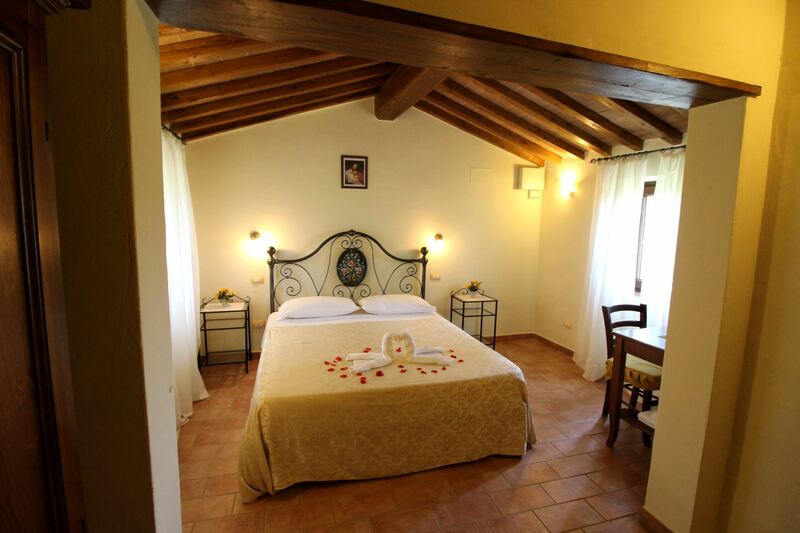 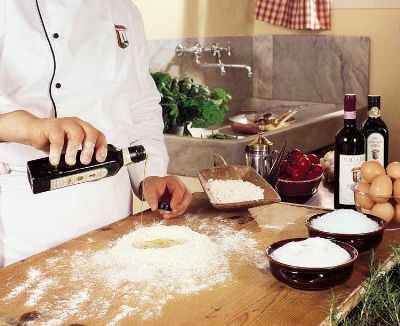 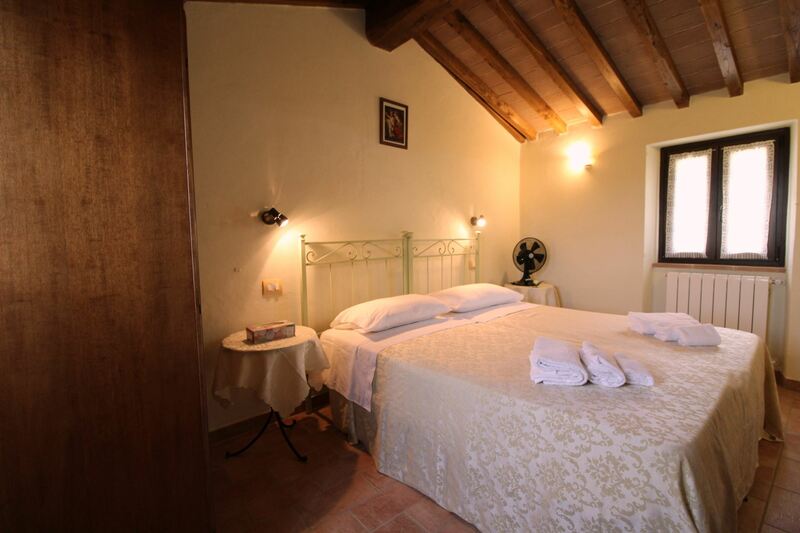 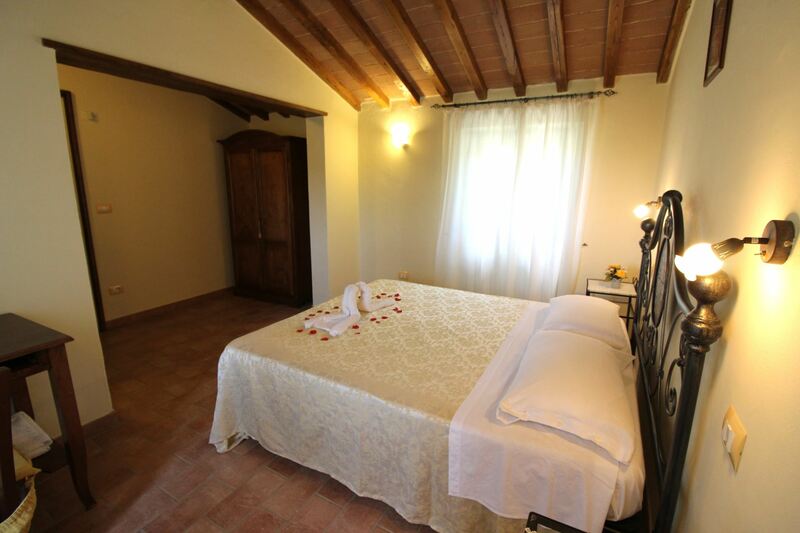 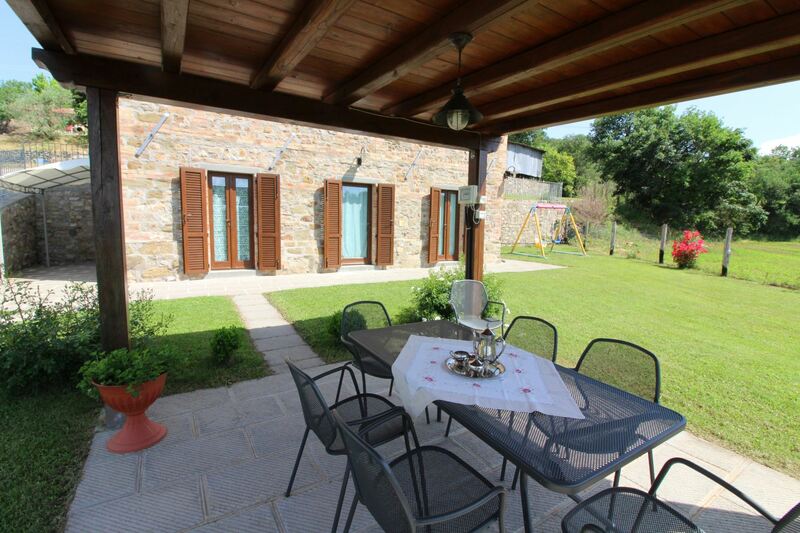 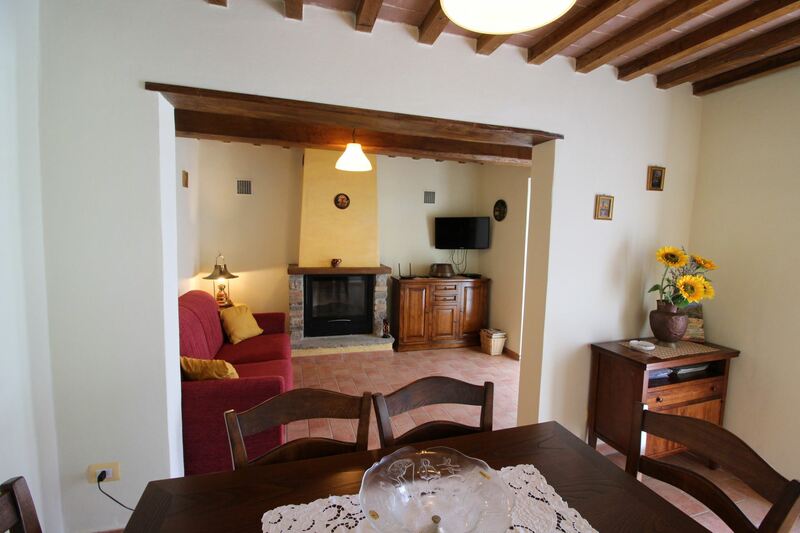 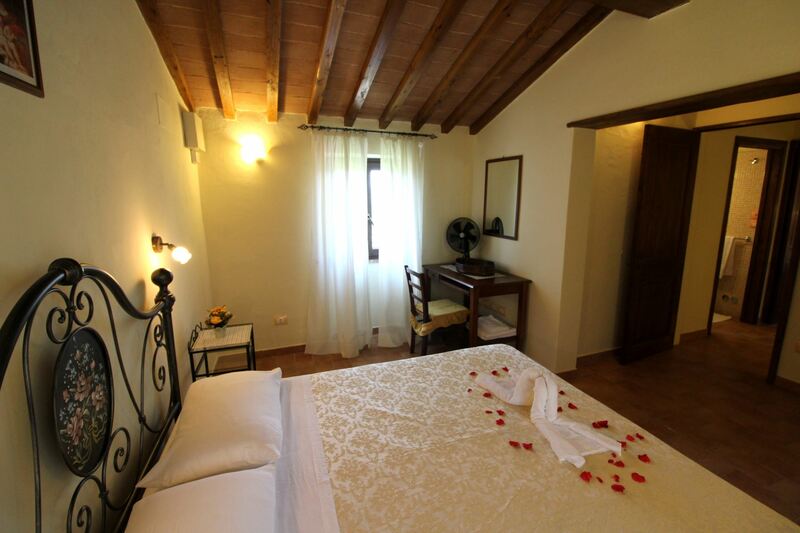 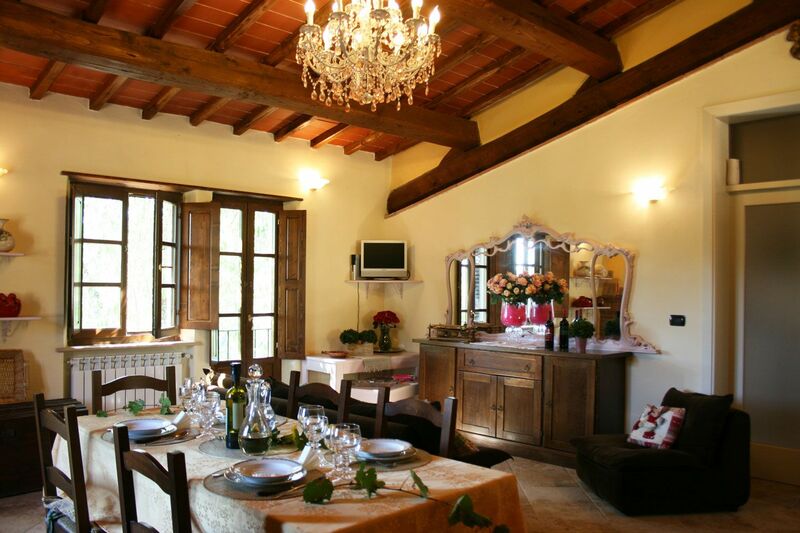 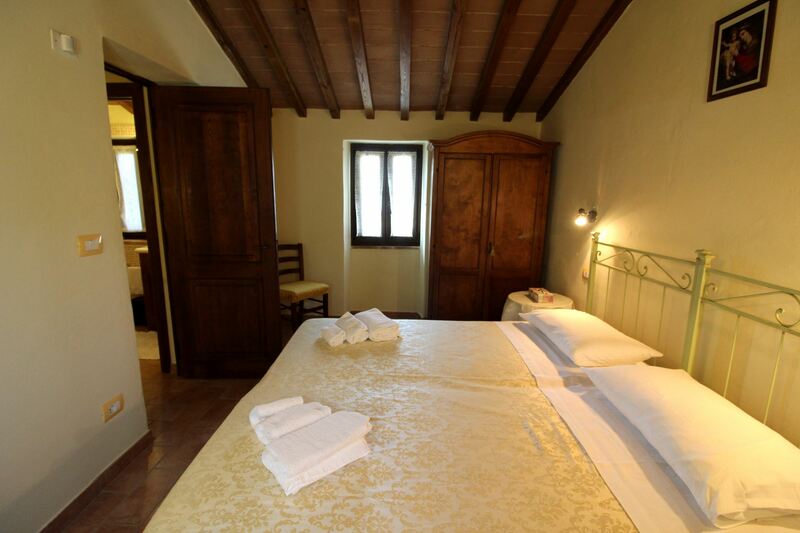 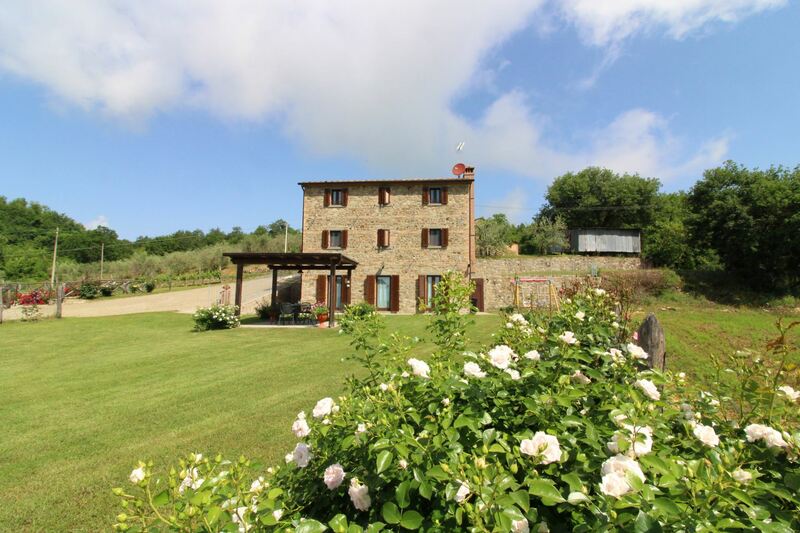 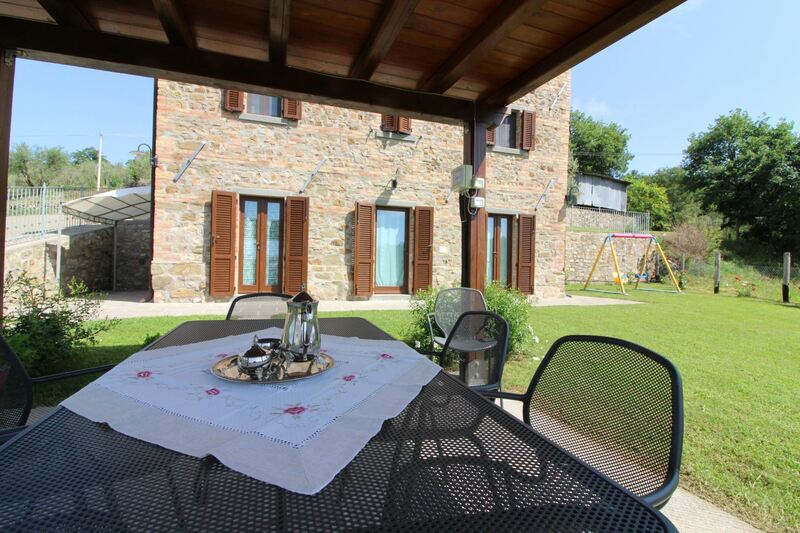 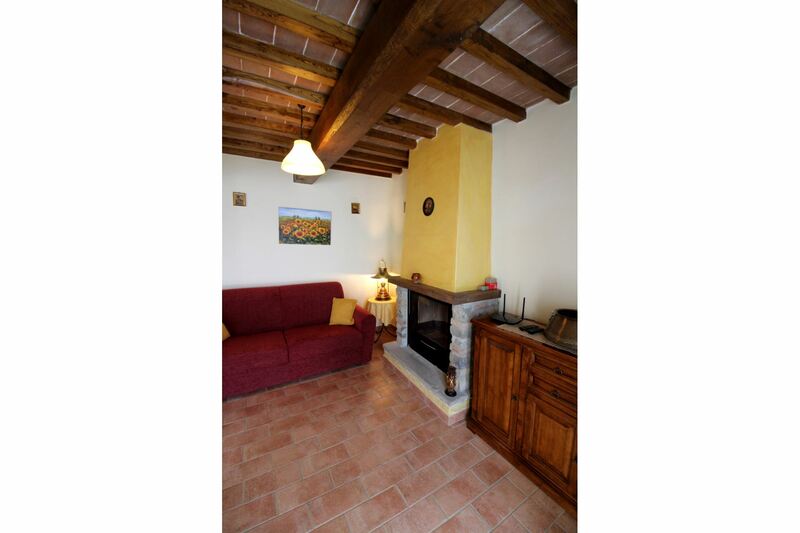 Poggio del Fabbro is a stone farmhouse, of ancient peasant origins, which dates back to the 1800s. 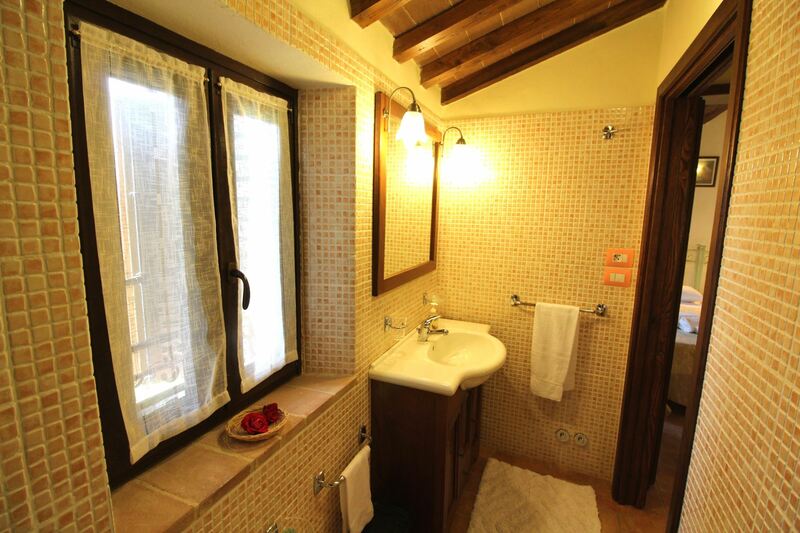 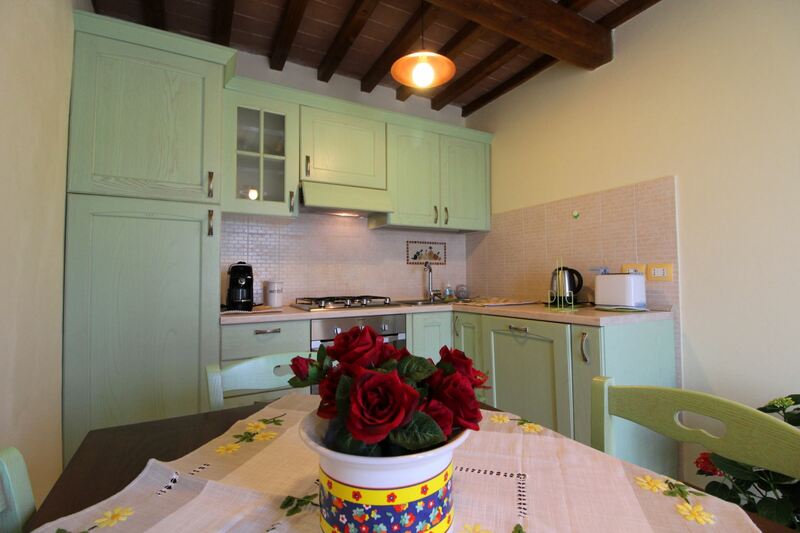 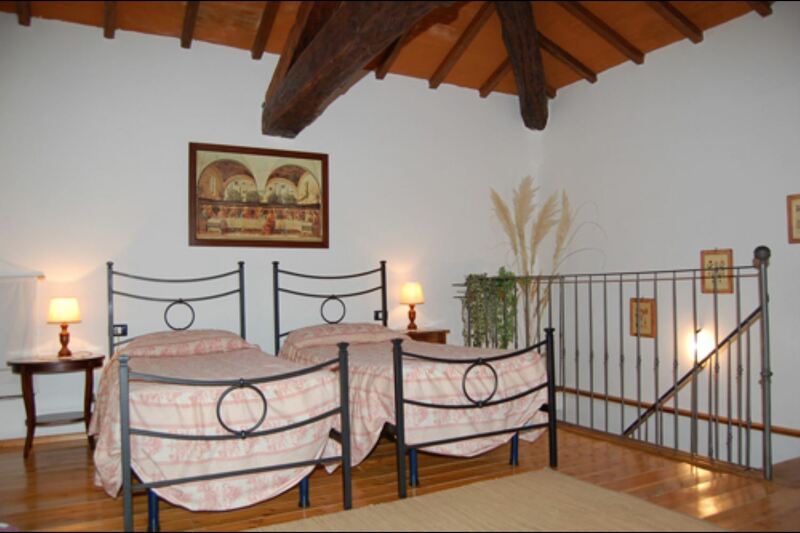 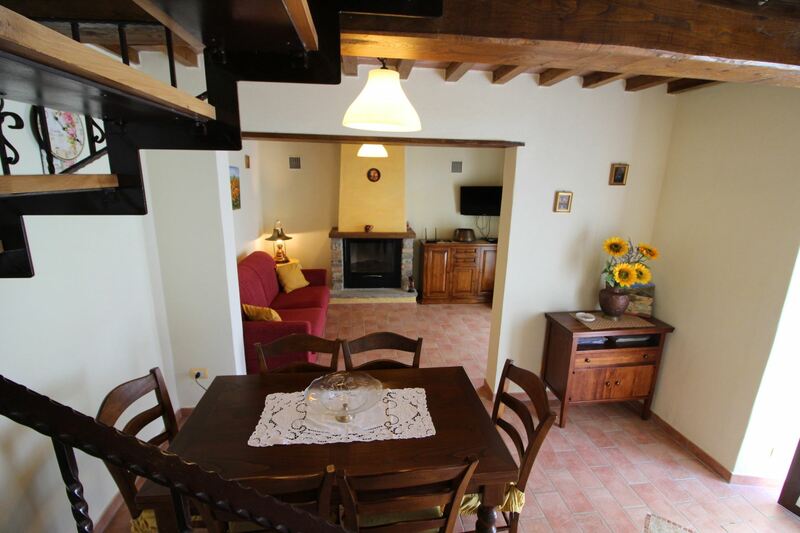 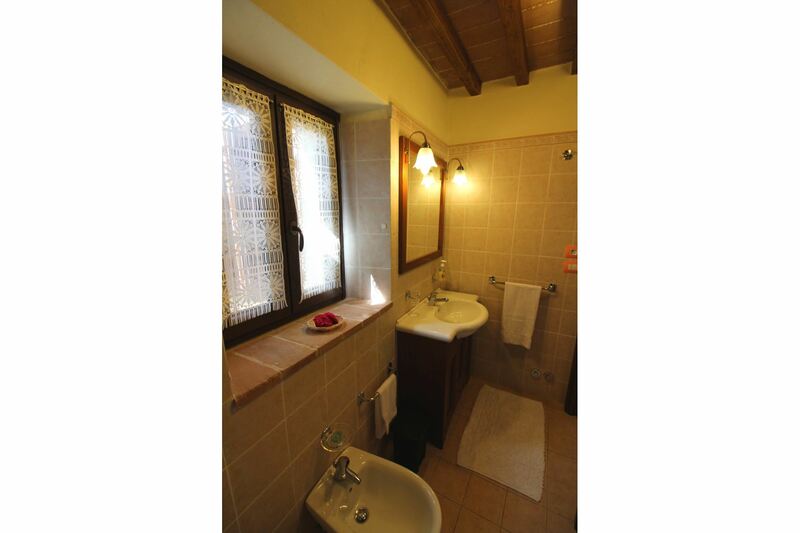 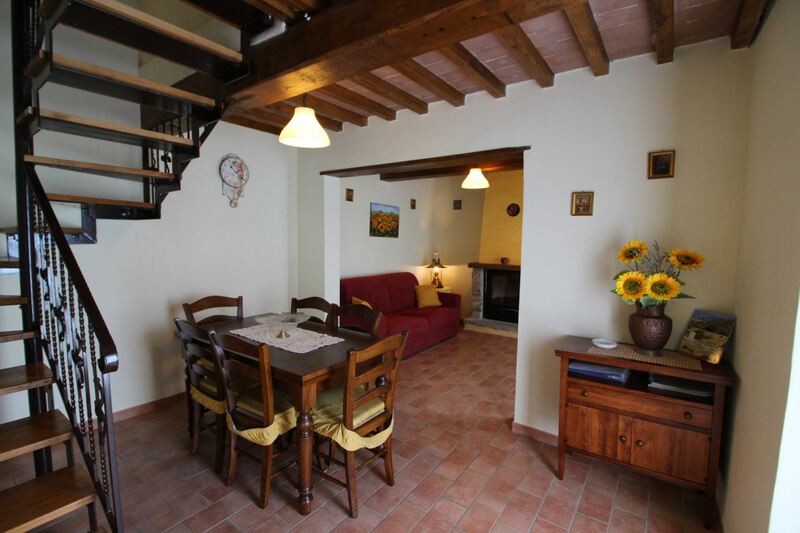 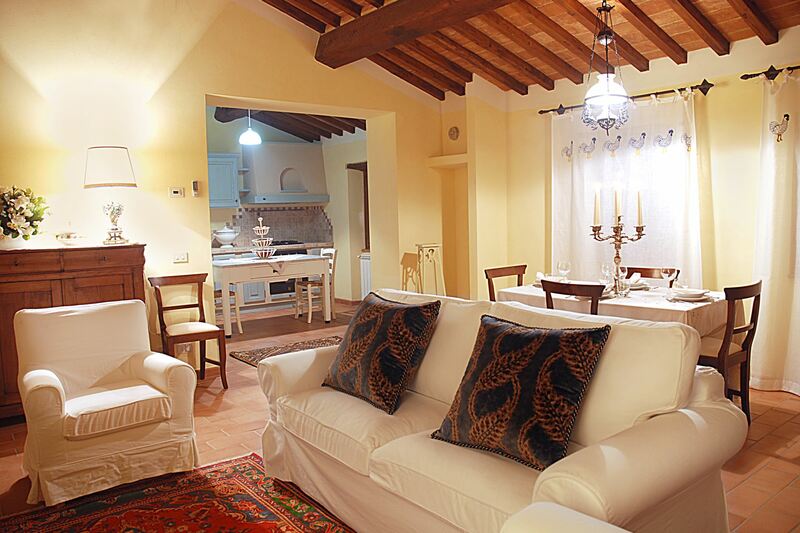 It has recently been renovated and furnished keeping intact the characteristics of style and architecture. 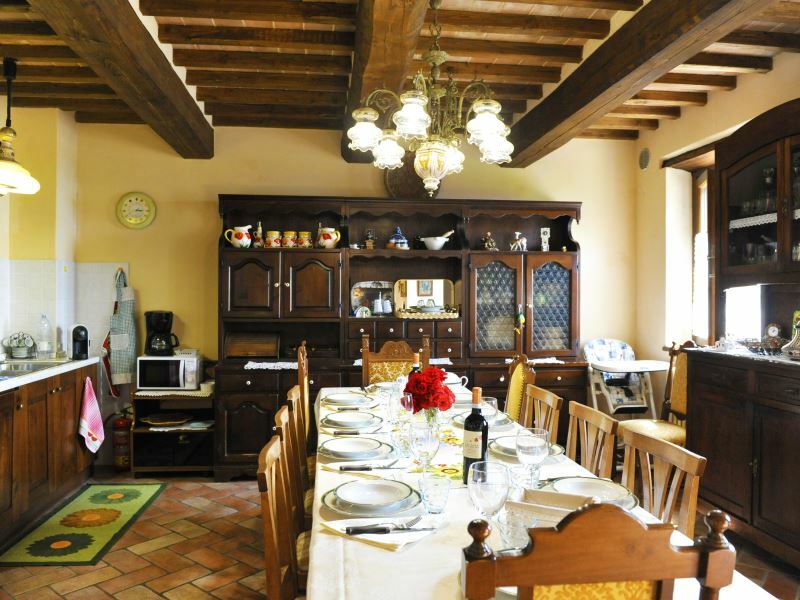 Even furniture has been chosen with taste by the owners, respecting tradition. 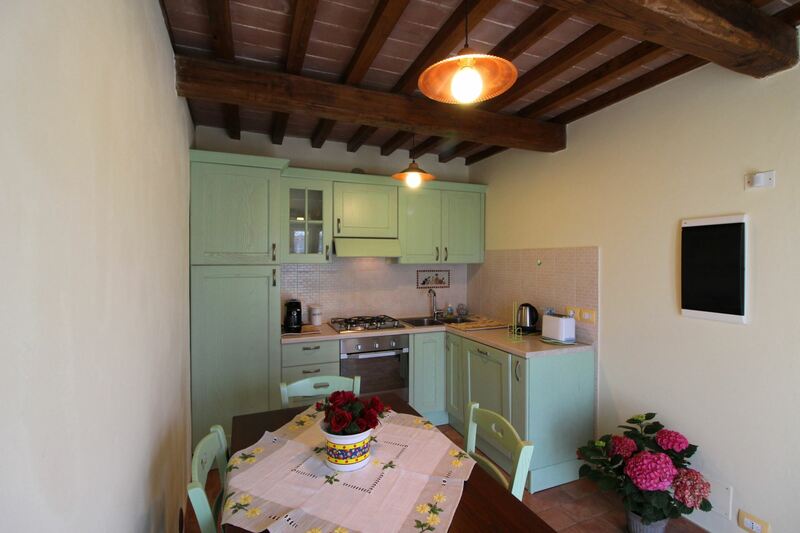 Equipment is wide and modern, at clients disposal Wi-Fi access, satellite TV, dishwasher, washing machine, oven. 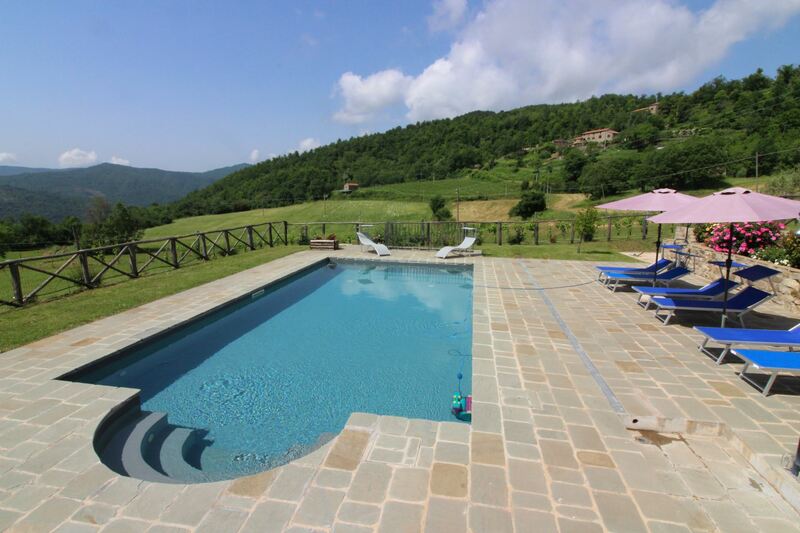 Swimming pool, garden and outdoor spaces. 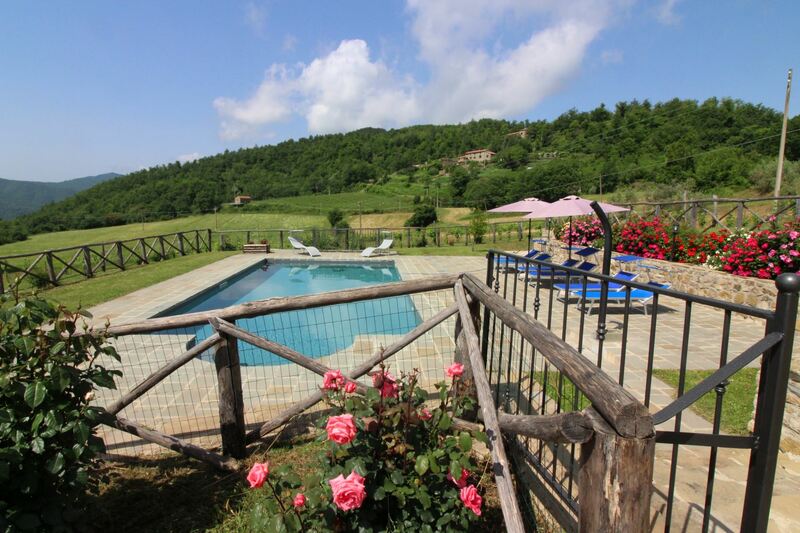 A few meters from the house, on a sunny position, we find a beautiful swimming pool (size mt. 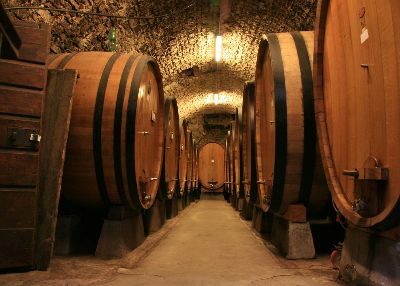 10x5, depth mt. 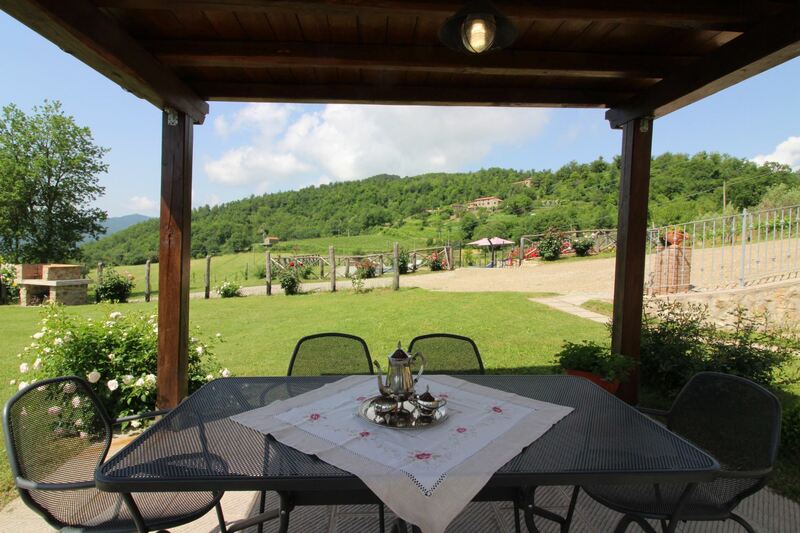 1,20-1,50) with solarium and completely fenced, which together with the table tennis, the table football and the shaded parking are for the exclusive use of clients. 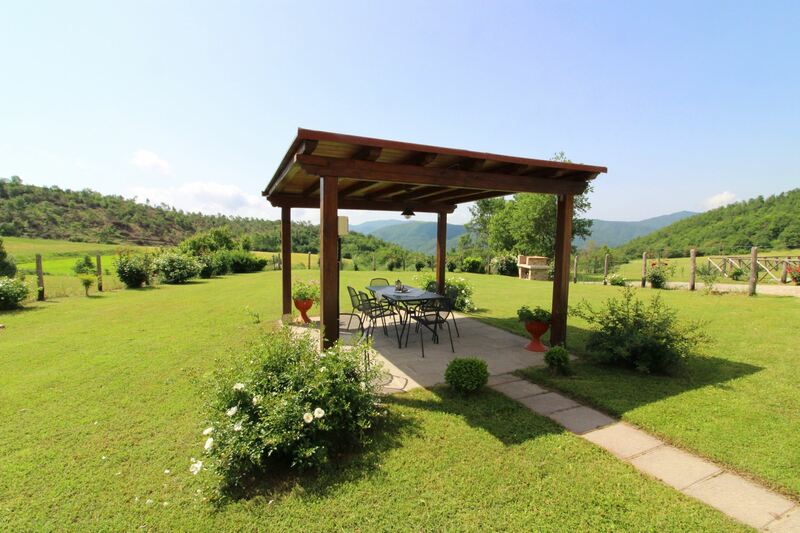 Moreover the wide and panoramic garden is endowed with wooden gazebo with table and chairs to eat and relax outside. 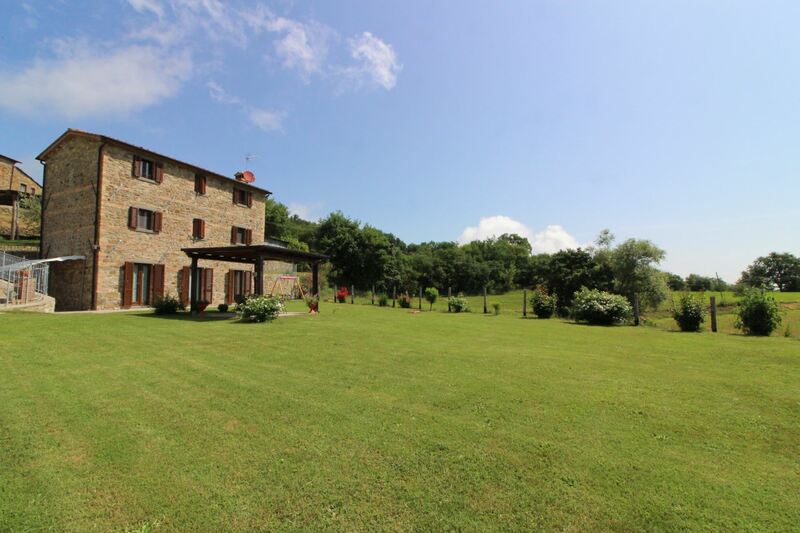 The owners, point of reference for any need, live in the nearby house and make their vegetable garden, with fresh seasonal vegetables, available to the customers. 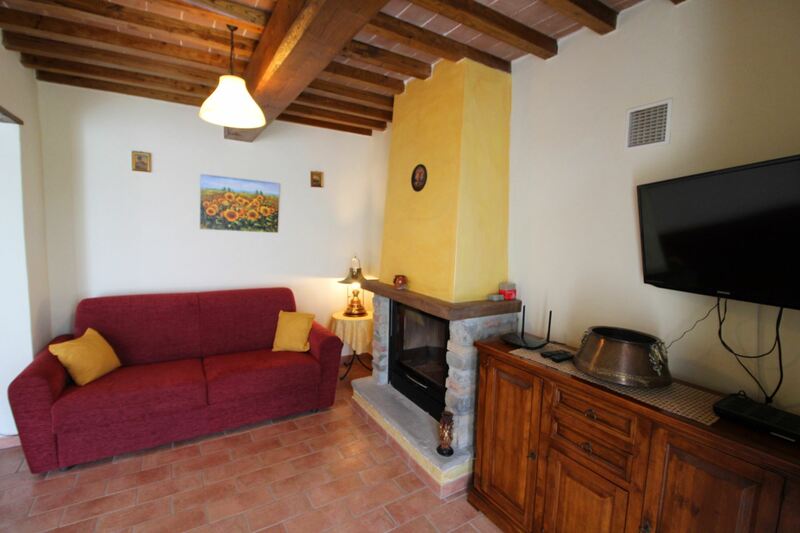 GROUND FLOOR: entrance on living room with sofa, stone fireplace and satellite TV, dining room and kitchen with French window overlooking the garden and direct access to the equipped gazebo. 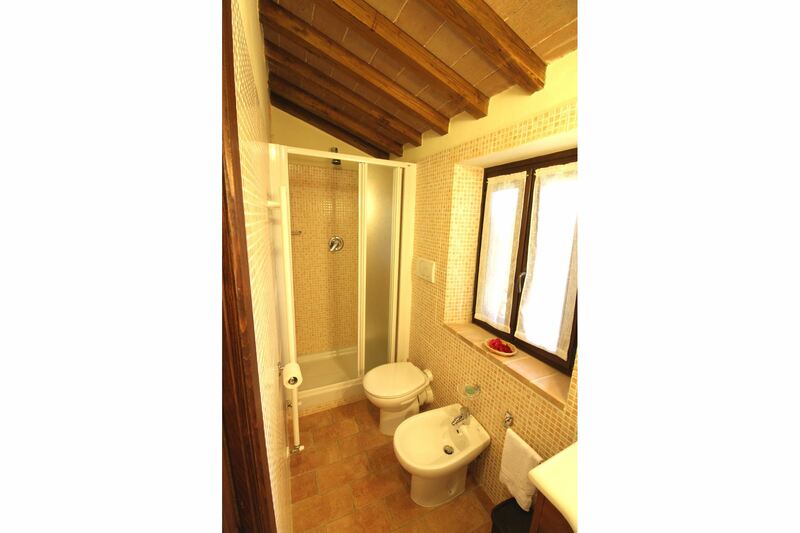 FIRST FLOOR: with access through internal staircase, double bedroom, single bedroom, bathroom with shower. 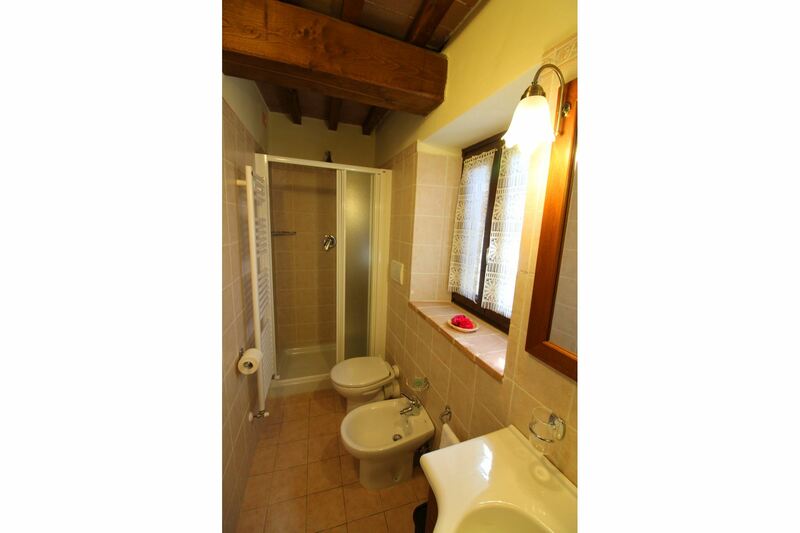 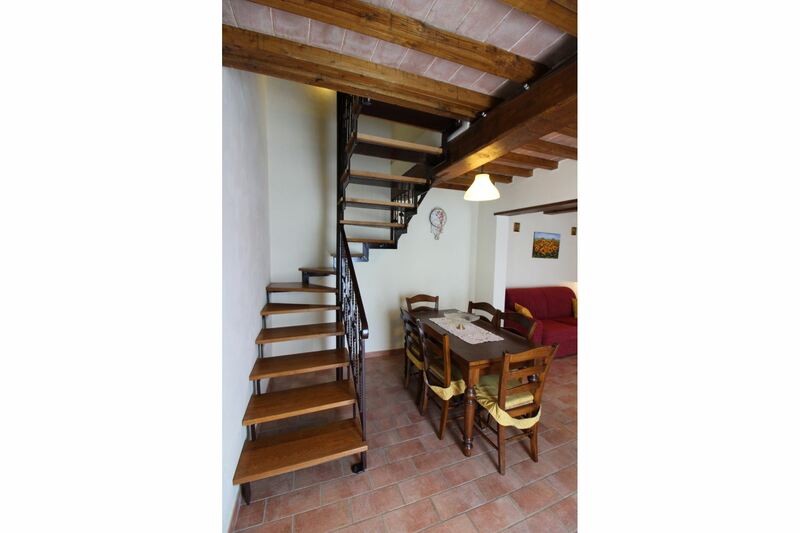 SECOND FLOOR: with access through internal staircase, double bedroom, twin bedroom, bathroom with shower. 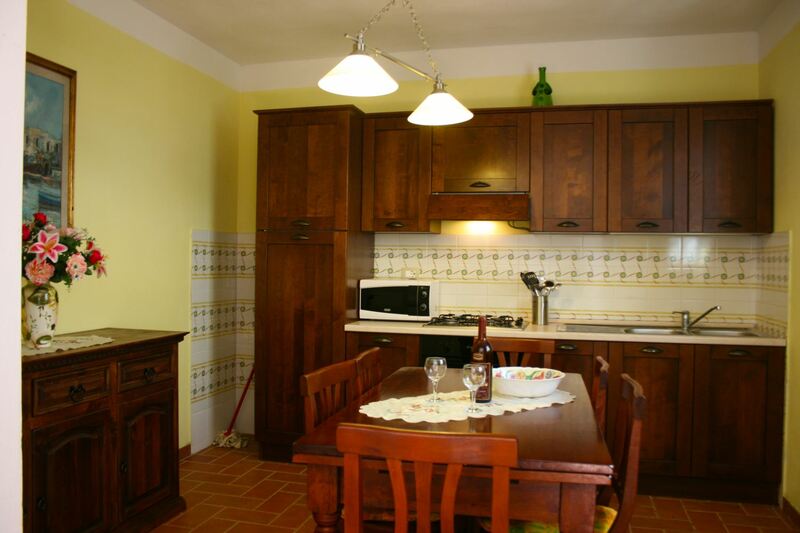 EQUIPMENT: fridge with freezer compartment, oven, dishwasher, moka coffee maker, filter coffee maker, toaster, kettle, washing machine, Wi-Fi Internet access, satellite TV, high chair, mosquito nets in the bedrooms and bathrooms windows, hairdryer, barbecue, gazebo, shaded parking, table tennis, table football, swing, espresso coffee maker, fans. 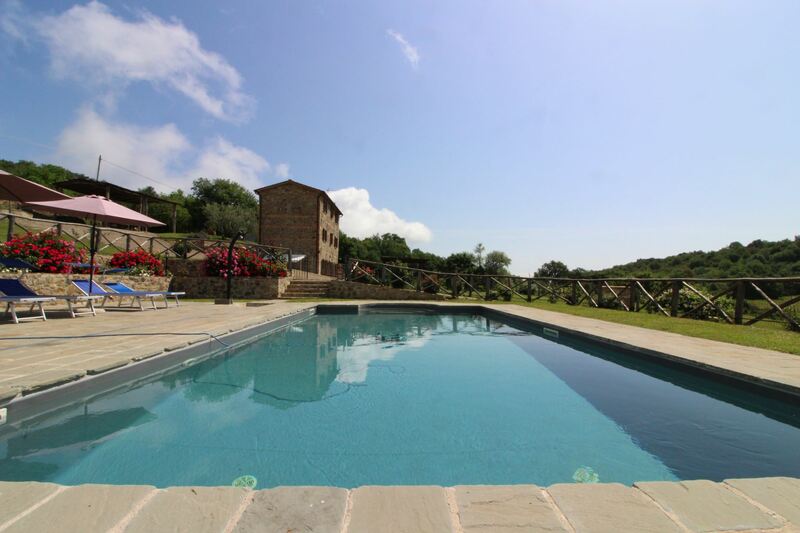 Private pool open from 20/04 to 12/10. 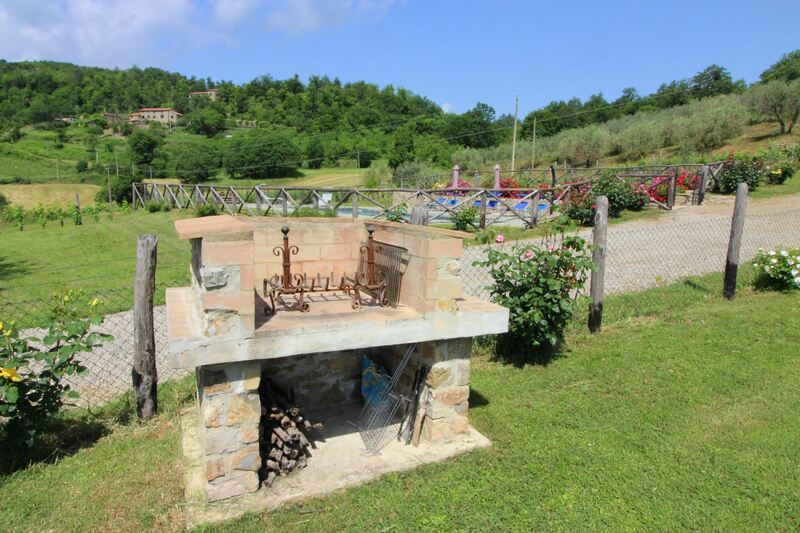 Heating Euro 4,50 per m3 (if used).